If we have learnt one thing from seeing Meghan Markle’s wedding ensemble as she walked down the aisle on the arms of her love, Prince Harry it is the importance of the bridal veil and how it enhances even the most minimalistic bridal style. 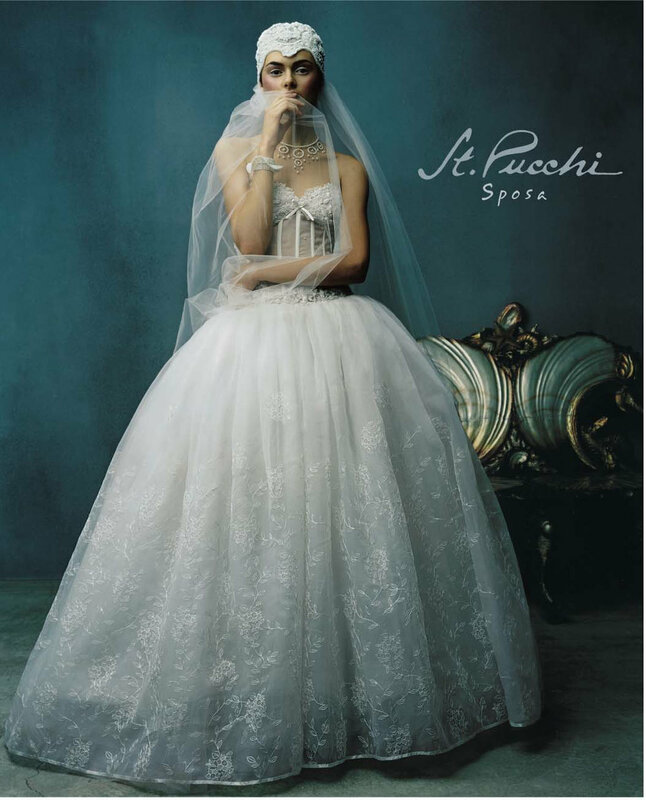 Ever since the very first collection in 1985, St. Pucchi has been well known for the unique, intricate and elaborately embroidered long veils and mantillas. When brides think of wedding veils, a long pouf of tulle is what often comes to mind. But these stunning wedding veils are far from ordinary; their beauty lies in intricate and elaborate designs that are handmade and truly luxurious. While a wedding veil can make a statement on its own, these wedding veils are designed to complement the wedding dress for a full head-to-toe look that’s absolutely wow-worthy. For the fashion-forward bride that’s looking for something unique, whether traditional or non-traditional, consider one of these wedding veil ideas. How about this long, sheer veil attached to an intricately embroidered and beaded skull cap? Perfect for the bride who is daring and looking for something unique. A custom made matching veil is a beautiful way to carry on the theme of our wedding dress. This dramatic cathedral length veil features the same floral appliqués as on the wedding gown. Beautiful, hand embroidery adorns this wedding veil, which perfectly complements the lace and flowers featured on this ivory wedding dress.